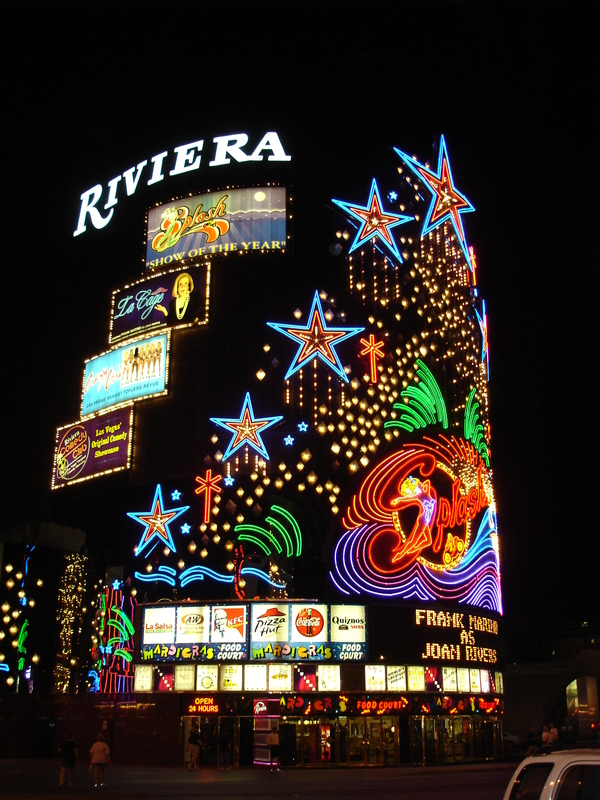 Riviera Holdings Corp., owner of casinos in Las Vegas and subsidiaries Riviera Operating Corp, filed for Chapter 11 bankruptcy reorganization Monday. The Recession is putting a squeeze on the Riviera and its assets are worth less than its liability. The Riviera will continue its operation uninterrupted. Riviera attorneys wrote: “Debtors were faced with declining hotel and casino revenues based on reduced consumer spending, a tightening credit market, and an overall weakening economy. Riviera Holdings said it lost $4.5 million in the first quarter, amounting to 36 cents per share, compared to a year-ago quarter of $1 million or 8 cents per share. We hope the Riviera can hold on.